Video: How can 3D models be used commercially? How can 3D models be used commercially? Cambridge, UK and Pittsford, NY – 31 May 2016: The new conversion service in CSG eSERVICES allows MEDUSA4 Personal users to export 3D models, which can then be used in other systems. At the same time, they can also be used commercially once they are converted. The free MEDUSA4 Personal CAD software has been downloaded more than 160,000 times worldwide, and offers an extensive range of features for 2D construction. The software also includes a 3D module, which can be used to quickly and easily create extensive 3D models from multiple 2D views. 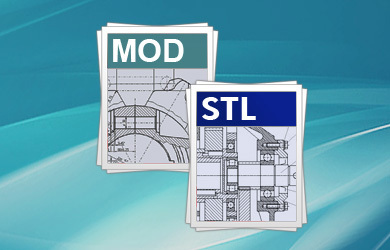 This capability is increasingly attracting more and more users worldwide – which is why CAD Schroer has released a new STL conversion service in its service portal, CSG eSERVICES. The 3D models created in MEDUSA4 Personal can now be uploaded to CSG eSERVICES in MEDUSA4 MOD format and converted to STL format for €4.99 per model. There is no cost to purchase the software itself, only for the final product. The models can be used commercially once they have been converted. 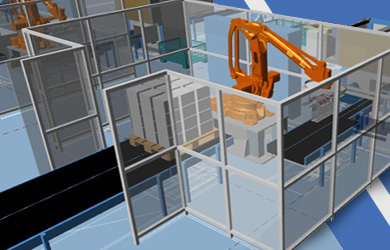 This enables companies to create a fully-fledged 3D design for their commercial projects without the major financial outlay of purchasing a 3D modelling system. The free MEDUSA4 Personal CAD software can be downloaded from the CAD Schroer website. Video tutorials are also available to help beginners to get started. The new option to convert MEDUSA4 Personal 3D models to STL gives private users and smaller companies an easy introduction to 3D design.